The CLLC is 100% energized now that it is a central learning and engagement hub. The following items would make it COMPLETELY operational. Journey through the website for updates, new photos, and other changes that zone in on REAP’s projects and impact. Click here strategies page is particularly impressive. Stay tuned for a page just for REAP’s press coverage. 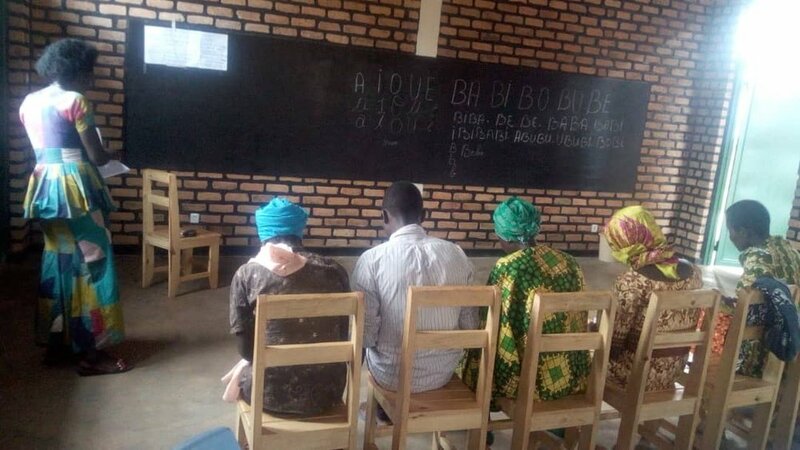 On July 17, 2018, Rwanda Education Assistance Practice (REAP), a local educational NGO in Rwanda, inaugurated the Community Learning Centre (CLC), an educational resource centre in Rwamagana. Rwanda's ministry of local government (MINALOC) visited the Community Learning Center and Library and cited it as one of the major 2018-2018 community-oriented projects in Rwamagana District of the Eastern Province. Ministry representatives commended the quality of the center's services and programs. As a community hub, the center has been selected to host the 2018 parliamentary elections in Musha Sector 7. 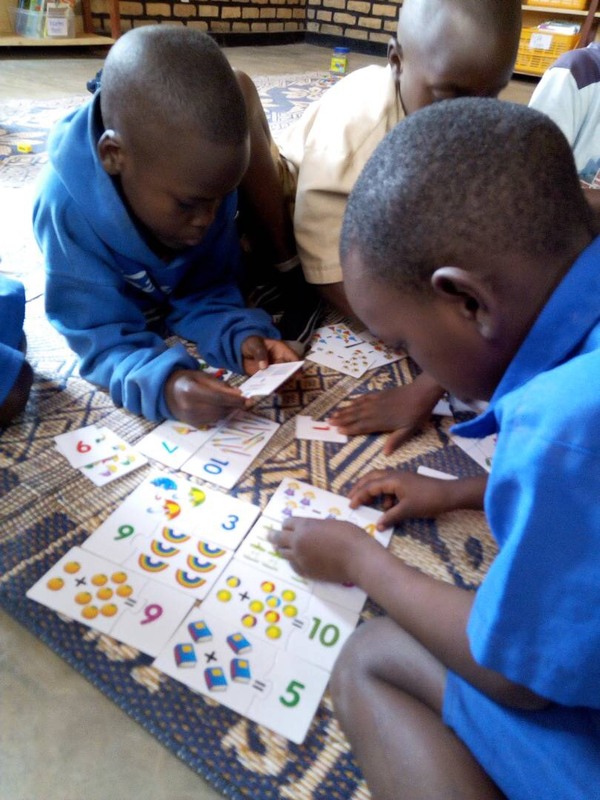 The REAP Community Library and Learning Center has become a rich environment where children to learn English language and thinking skills through games, talks, and plays. With resources and space, the REAP Learning Community Learning and Library has become a much more conducive learning lab for the government-initiated Kinyarwanda adult literacy initiative. Super athletes: A new basketball makes for a better game! A new basketball player nurtures an athletic drive and healthy competitive spirit! Movement abounds in the newly launched community center and library. "Right now I am at the Center with Elisaphane. As we approached the Center from an end-of-semester meeting at Duha school, we found 10 P5 students impatiently waiting for a teacher in front of the Center. Elisaphane welcomes them with a smile. Usually, there is no learning the last day of school. Students only come to school to get their school reports and go back home, ready for holidays. It’s very exciting to see students thirsty to learn the last day of school." Duha primary school students sit with thirst as their headmaster anounces the opportunity of English language enrichment at the New REAP Learning Center. The new community and learning center inauguration received some great press coverage in Muhabura.rw, a major Rwandan online source of news. Click below or on the blog title for the article. 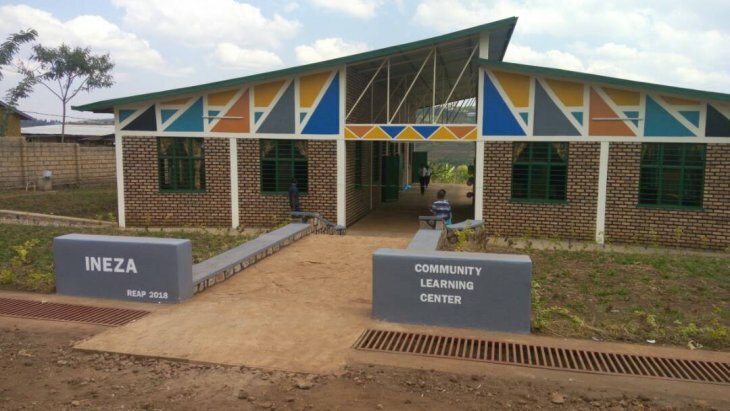 Recently as July 17th ,2018, Rwanda Education Assistance Practice (REAP) has inaugurated the Learning Community Center in which the community and neighboring schools will be facilitated to learn English language, Science, Humanities and Skills about human security issues like nutrition and family conflict resultion. The establishment cost 71.437.886 RWF. "The opening of the center was a big deal. 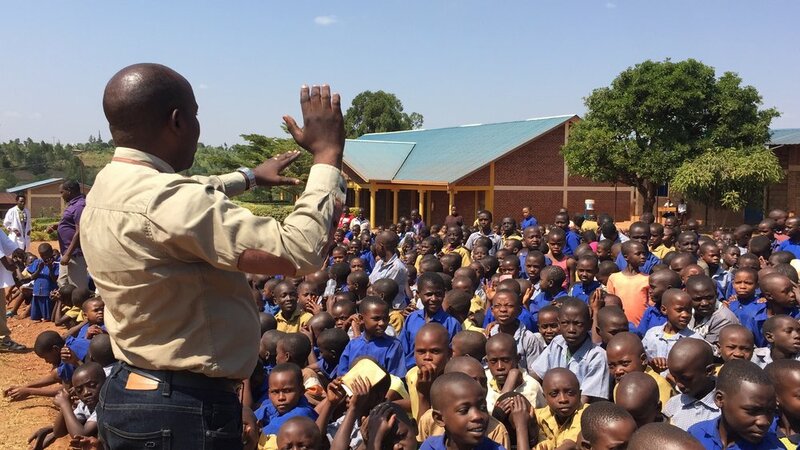 Around 500 people attended, including a member of parliament who was born and grew up in the community, the vice mayor of Rwamagana District, and an official in charge of technology in education from the Ministry of Education." REAP extends its grateful thanks to MoneyGram Foundation for its generous 2017 grant of $45,000. 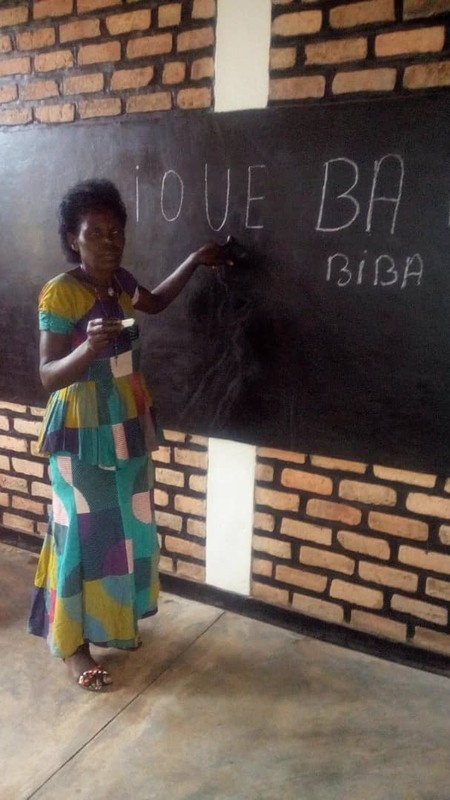 This contribution enabled us to construct the recently completed community center and library, which expands our efforts to enhance the educational opportunities for Rwandan youth, their families, and the larger community. "Wow! I sat at my desk and scrolled through the pictures over and over and was just teary eyed. I can imagine the excitement in the community and among the children as each stage went up bit by bit. The craftsmanship is beautiful and the attention to detail is perfect. What a wonderful space for the children and the community to come and learn and grow. Well done REAP!" The inauguration of this wonderful addition to the community will take place during the second week of July 2018! Excitement in the community rises as the construction of our Community Library and Learning Center nears completion! What used to be farming land earlier this year has now become a center of excitement in the Musha Community as construction of REAP's Community Library and Learning Center continues. Currently, we are working on the painting and landscaping, as well as rainwater harvesting. The community has been volunteering its labor through the government's community service program every last Saturday of the month. Expected to be completed by the end of May, the Center will serve as a common space for the community to come together. Community members will be able to acquire skills and access the resources that they need to further their social and economic development. In this way, the center will become a location of strength, joy, and healing. REAP was selected to participate in the International Social Work Conference held in Kigali from March 19th to 22nd. Organized by the Center for Research and Innovation in Social Work (CRISOWO), the four-day social work conference brought together over 500 people and organizations including US, European and African universities, non-governmental organizations, and individual social work practitioners from across the globe. Mathilde Mukantabana, the Rwandan ambassador to the United States, was the keynote speaker. 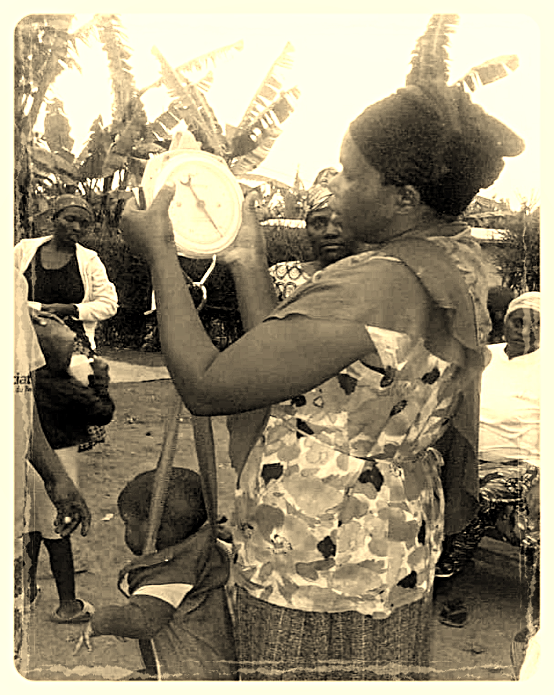 She started the social work program at the National University of Rwanda in 1999. REAP presented our school social work model in the context of rural public education. As an ambassador to the community, our paraprofessional social worker visits families in the community to ensure their participation in their child's education. Our presentation stirred the interest of many attendees. We were able to privately meet with the Rwandan Ambassador to share our vision of community development, and explore the possibility of collaboration with other nonprofits in the future. JEAN PAULIN MUTATSINEZA, THE REAP COUNTRY DIRECTOR PRESENTS OUR VISION TO DR. MATHILDE MUKANTABANA, THE AMBASSADOR OF RWANDA TO THE US. 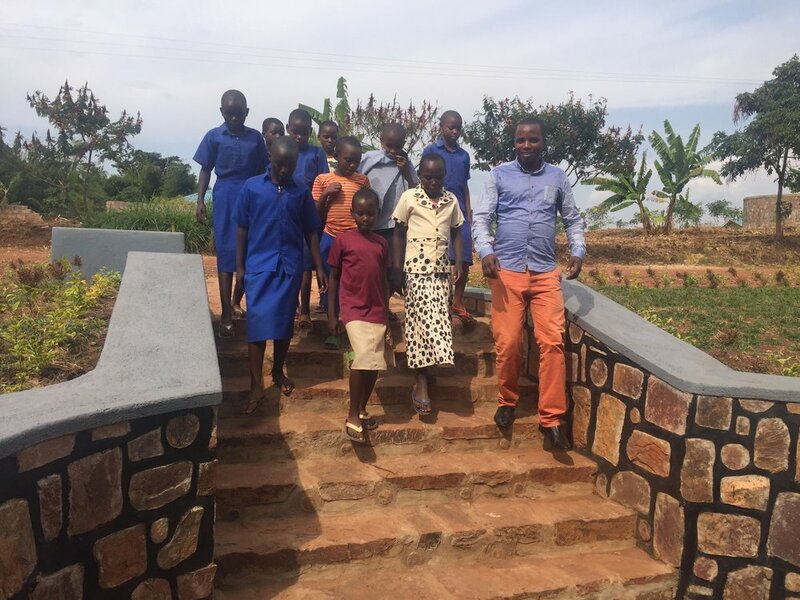 Recently, 60 students and 5 teachers from Green Hills traveled to Musha, Rwamagana for a Community service day at the construction site of the REAP Community Library and Learning Center. Fifteen students from Duha and REAP in-country staff joined them and helped at the construction site. The activities included passing bricks to masons, forming a laterite base for the floors and site clearance. At the end of the activities, students had a talk with teachers and the REAP project manager about community service, project management and civil engineering. 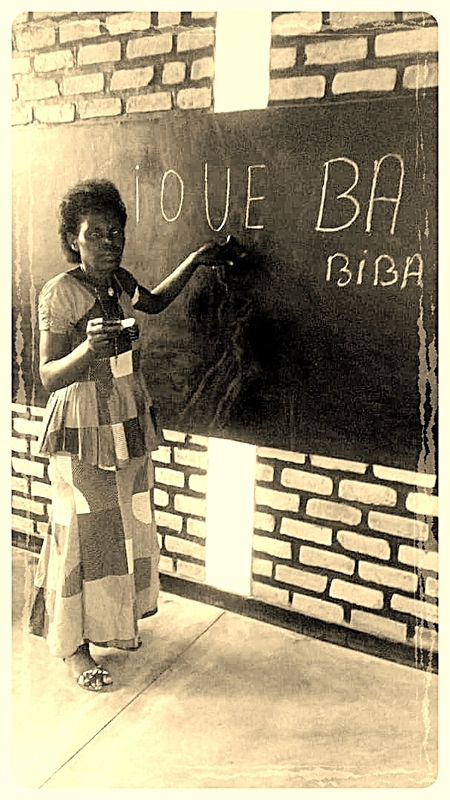 When the Community Library and Learning Center is complete, regular community service programming will be put in place to better involve the community for increased impact. 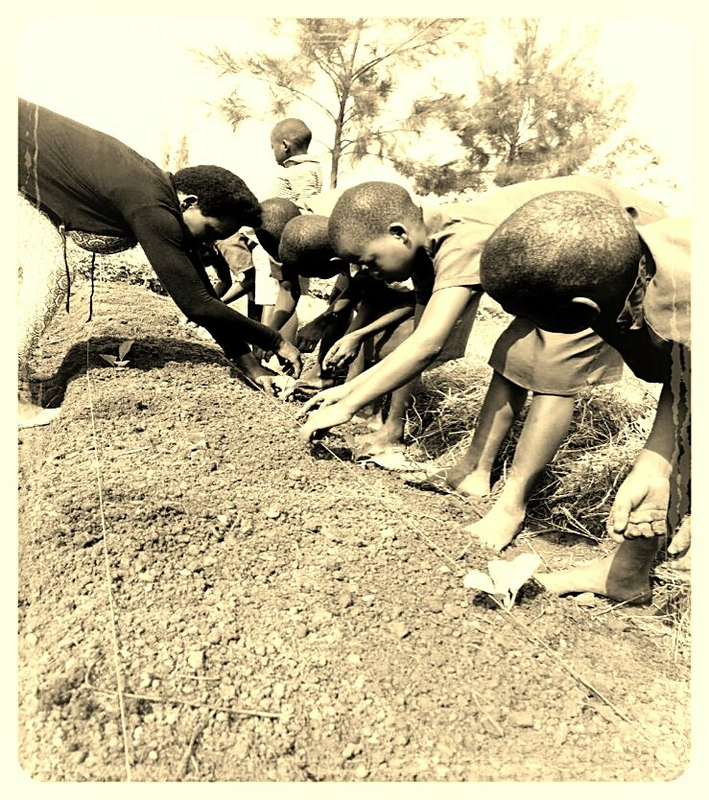 acquire practical skills in the areas such as farming, botany and nutrition. 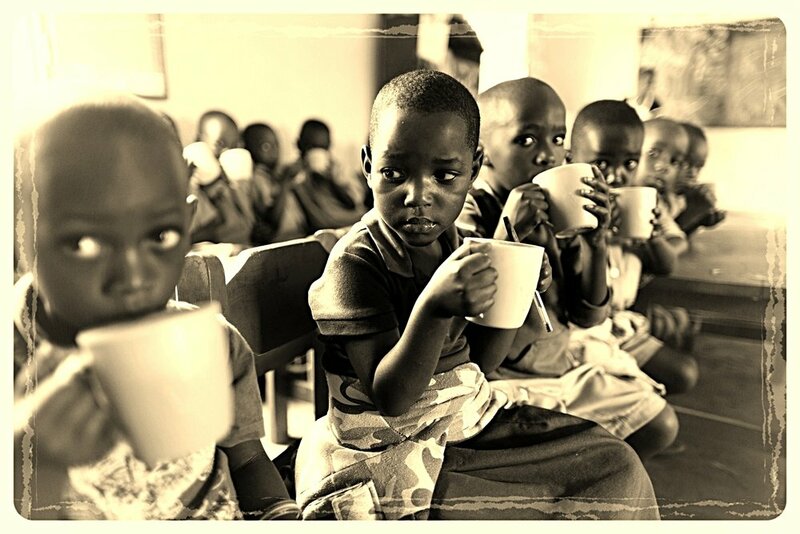 in many cases, these students eat only one meal a day.